Early Tuesday morning, a 6.9 earthquake rocked coastal Japan, sending residents of Fukushima into a panic and raising fears of a rising tsunami. The quake led to a preemptive evacuation of the area, under the threat of 10-foot waves that could crash in at any moment. The tremendous 9.0 magnitude earthquake that hit the area in 2011 was overshadowed only by the destructive waves that followed. Areas like the Tohoku region, pictured above, suffered a 50-foot wave that killed 18,000 people and left thousands of others without permanent housing to this day. This catastrophe fueled fears in this week’s major earthquake. Luckily, no damage or radiation leaks have been reported at the Fukushima Dai-ichi nuclear plant, which went into a triple meltdown in 2011. The tremors hit at 6 a.m. local time and were 160 miles away in Tokyo. Waves three feet high were seen on the coast, yet authorities warned that higher waters could be coming. Tuesday morning, a massive 7.4 magnitude earthquake hit the Fukushima region of Japan, inciting a familiar fear. 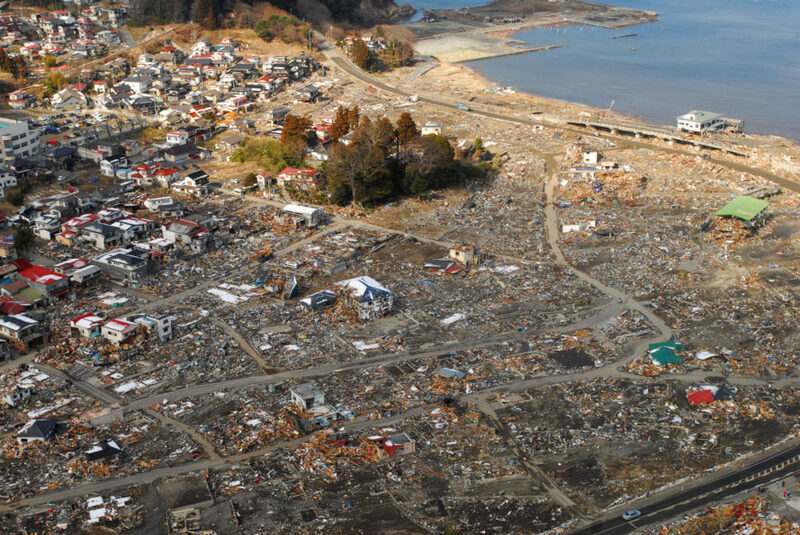 The region of Kirikiri, Ōtsuchi, Iwate, Japan was destroyed by a 50-foot tsunami following the earthquake of 2011.